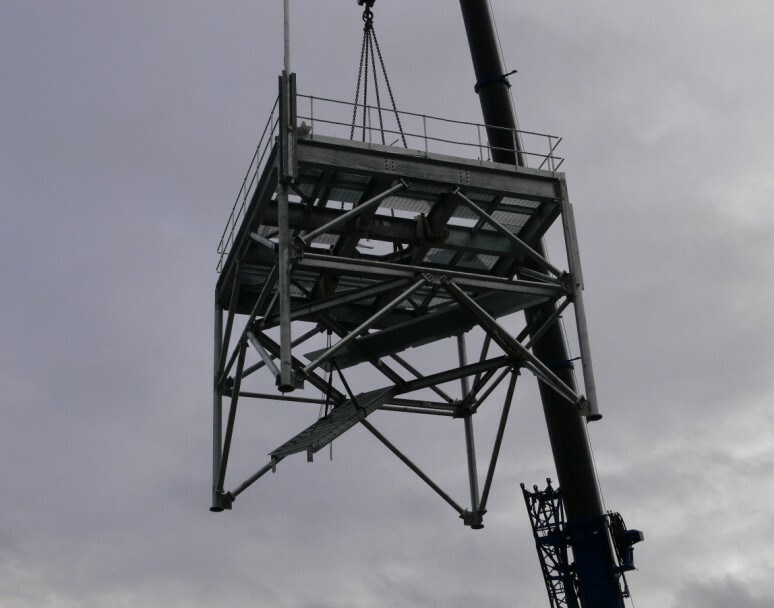 LARS was awarded the contract by Easat Antennas to manufacture and install an aviation tower at Kinkardine on the north shore of the Firth of Forth. 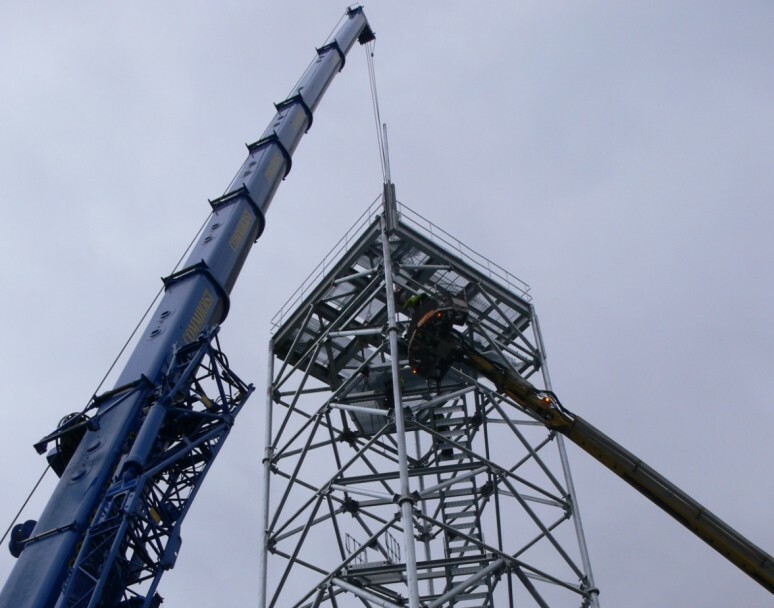 The contract was for the fabrication and erection of a 30m high structure to support a primary radar. 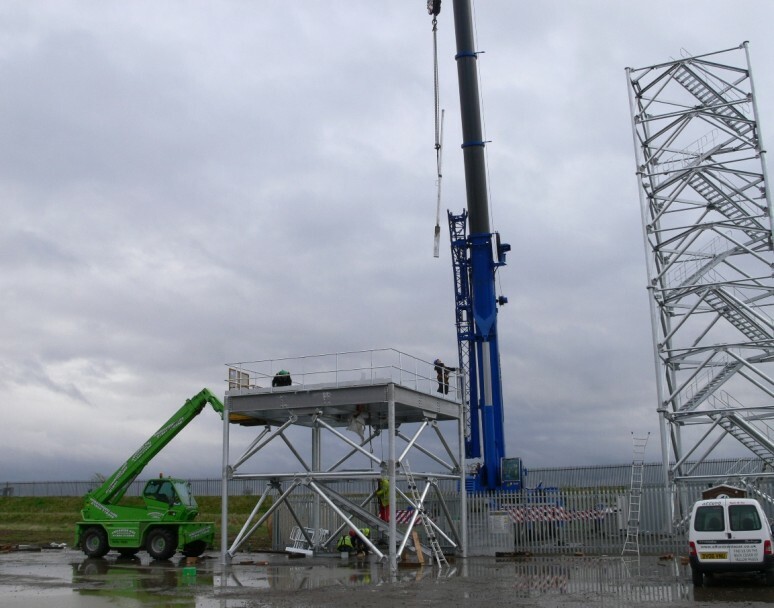 The tower was manufactured at LARS production facilities. 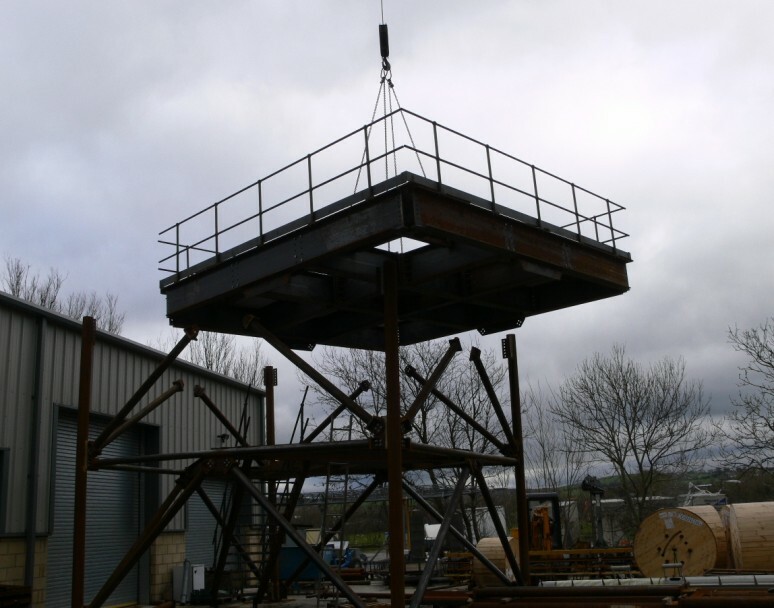 The galvanised steel structure weighed approximately 21,000 kg and included a stairway, feeder spine and a top platform complete with hand railings, kick plates and perimeter walkway. 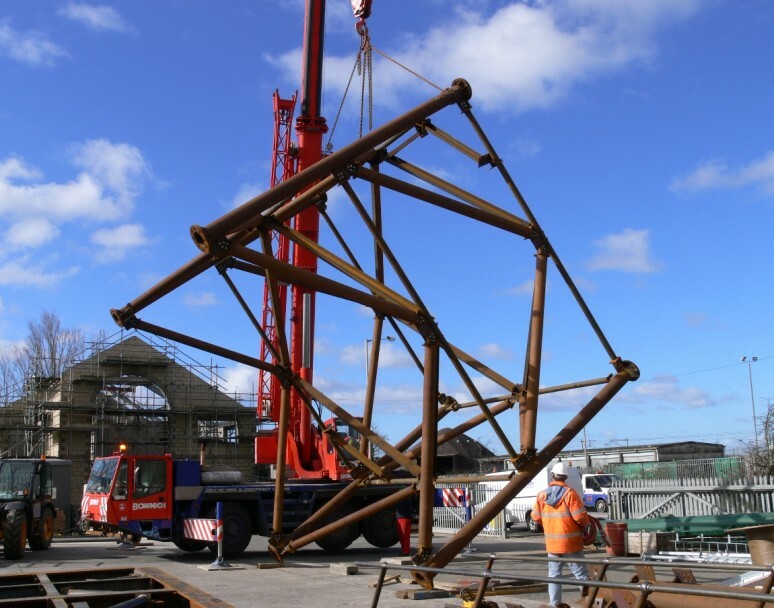 LARS was also tasked with the construction of an 8m x 8m concrete foundation for the tower. 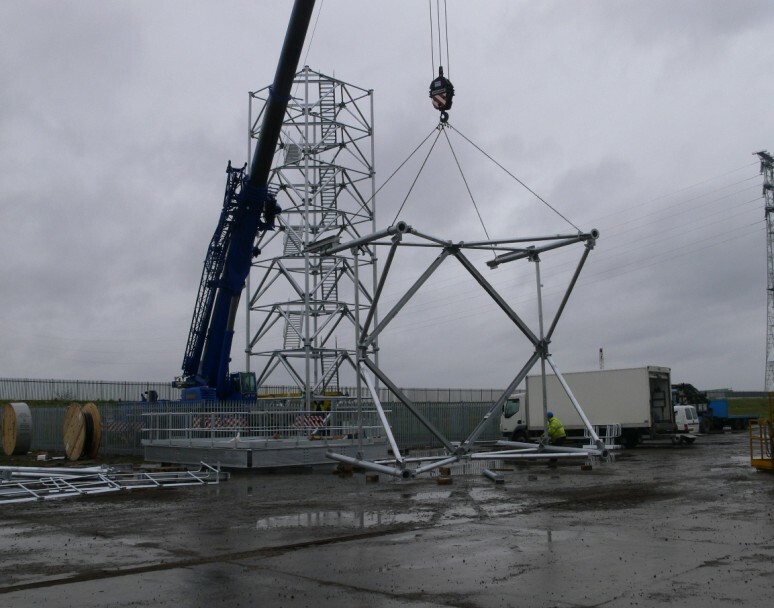 Tower sections were transported to site flat packed and assembled on-site at ground level. 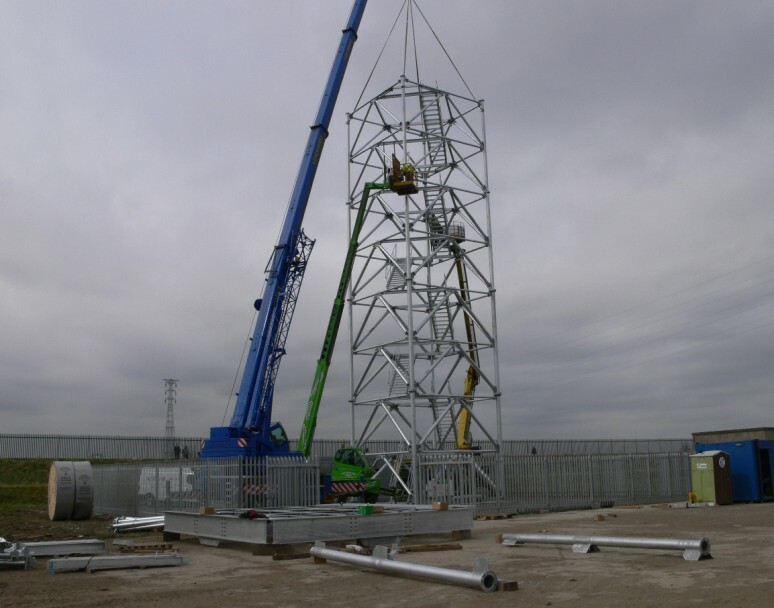 Once assembled each of the five tower sections was then crane lifted into position.